I’ve grown a tremendous love for interior design, and always become giddy like a little school girl whenever I go shopping for new home decor items. Now I know just as much as the next person, that everyone loves a great deal – so why should great deals only pertain to clothing? You can find just as many chic home items, as you can clothing – and still have money left in the bank. I love creating these home how to’s and showing you all how easy it really is to transform your space on a small budget! 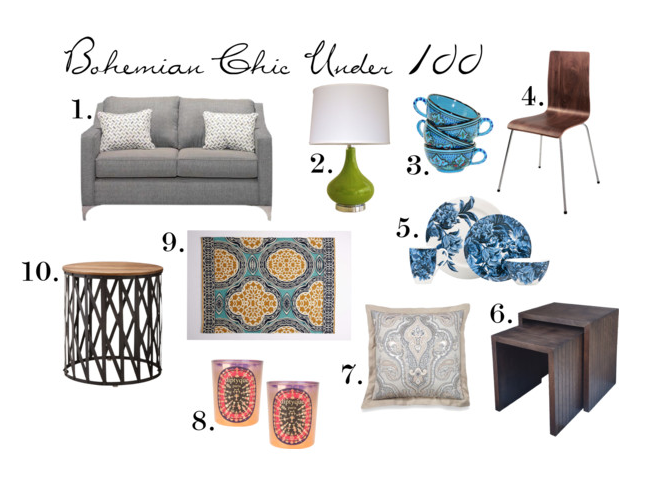 This week I really started to love the vibe that a chicly done retro space can give off, so I wanted to show you guys how you can achieve this look for under $100! Loving all of these brights! 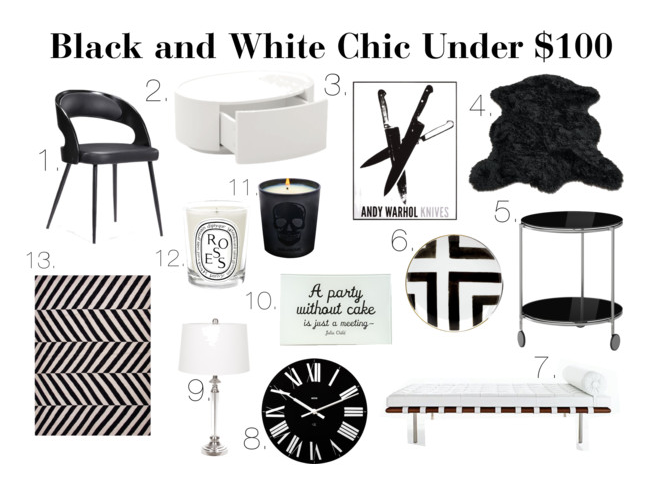 There is just something so fab and effortless about black and white. Such classic colours that no matter the pieces you choose, you can’t really go wrong. When choosing to create a black and white look throughout your home, it’s easy for the space to come across as ‘busy’ when choosing prints that incorporate both colours. So to avoid this problem, try to create accents using either black as your smaller pieces, and white as your larger items – or vice versa. Hope you enjoyed my picks and happy hunting!